The decision was taken on Wednesday after a meeting between the Chamber of Deputies President, Liviu Dragnea, the leader of PSD deputies Daniel Suciu and ALDE representatives Andrei Gerea and Toma Petcu. “At the request of our colleagues from ALDE, we met again to agree on technical issues. In essence, we did not have very many divergent views and not even percentages and we had to discuss several technical issues regarding authorizations. At least the PSD’s position remained the same, and I think from this perspective ALDE colleagues can say what conclusion they have reached. In essence, it was not a subject of fracture within the coalition, not at all, and we discussed without passion and purely technically, as we have only one interest, that the Romanian state and Romania to gain as much as possible on this law. It was not a negotiation – nothing like you give me and you take something,” said Daniel Suciu, quoted by Agerpres. 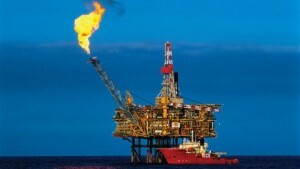 He said that it was decided that the law would stipulate that 50% of the Black Sea gas production is traded on the Romanian commodity exchange and the investment of those who operate is deducted up to 30% of the supplementary income tax “. “It is the form you know and it remained the same,” added Suciu. The leader of PSD deputies said that, basically, the joint committees will hold a meeting next Tuesday to discuss these changes. “Secondly, we have started from the idea that these earnings must be shared equally, at least 50% for the Romanian state and, of course, 50% and for the concessionaires. (…) After debates and analyses, we have reached this conclusion, that these percentages are fair for both parties, so that the Romanian state will gain 50% and the operator 50%, of course, after recovering the investment, as normally. (…) I consider that the form agreed today after the discussions is the form that allows the project to be carried out without any technical and authorization related impediment and, of course, we are also interested in the energy security component, ” says Toma Petcu. He said there had been changes made to the legal regime of beaches and related to the protection area when archaeological sites are discovered. Liviu Dragnea, the President of the Chamber of Deputies, said on Wednesday that there is every chance that the offshore law will enter next week’s agenda of the industry, budget and administration committees and he stressed that “there will be a Parliament’s decision” on this law. The Chamber of Deputies decided on October 3, with 210 votes “for” and one abstention, to resend the report on the offshore law for a week to committees. The decision was made at the request of UDMR leader Kelemen Hunor. PSD agreed with the proposal, according to the leader of the social democrats group Daniel Suciu. Industry, budget and administration committees adopted last week the report on the offshore law.